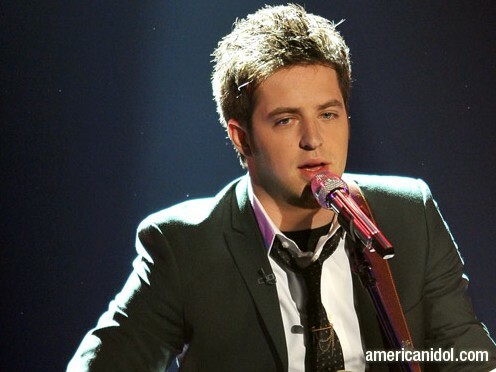 Lee Dewyze is season 9 winner in American Idol. Surprising? To some it was. I didn't sit down to watch him and Crystal sing it out on Tuesday because it's also the season finale of my favorite show...NCIS! And yes, I'll watch NCIS over any other show out there. Anyway, the husband watched the showdown and he was convinced that Crystal would win. From what I've read in the news on Wednesday morning, it was clear that, yes, Crystal out sang Lee in all the 3 songs they did. BUT...Lee is more popular to the fans. I actually told the husband that I think Lee would pull a surprise win...and he did. In fairness to him, I don't think he was ever in the bottom 3. I may be wrong but that's what I remember. Crystal was in the bottom 2 when Michael Lynch was eliminated. Also, Lee was consistently praised by the judges before Tuesday's show so much so that Simon actually picked him to be this year's winner before the last showdown. He won and that's all that matters now. It's a competition where viewers pick out the winner. The viewers picked him so let's just be happy for him. We know that both of them will land a recording deal anyway and that's what [all of them] want anyway, right? yup, your right j, a win is a win and lee was indeed the viewers choice. was rooting for "mama sox" though... was so damn sure she would win. anyway, dropped by to read your posts today while housesitting for a dear friend. walang ibang libangan dito sa bahay kundi internet. hahahaha! hope you are well my friend... ciao!